Losartan is one of the 10 most prescribed drugs in the United States. As a treatment for high blood pressure, losartan is considered an important drug in battling heart disease around the world. The World Health Organization even named losartan one of its essential medications — those that satisfy a vital need for the public. That’s why it was so devastating when tens of thousands of people found out that the losartan-containing drugs they were taking to save their lives were contaminated with cancer-causing substances. Hundreds of lots of losartan drugs and others in its class have been recalled by more than a dozen drug manufacturers since impurities were first discovered in mid-2018. Now people who have developed cancer after taking Losartan may be able to file lawsuits. Learn more about the background of losartan and its possible side effects. Losartan is the generic name of a drug used to treat hypertension. It belongs to a family of medications called angiotensin II receptor blockers (ARBs). They are also known as sartans and AT1 receptor antagonists. Other drugs in this family include valsartan, irbesartan, and candesartan. The drug works to treat high blood pressure by blocking a hormone called angiotensin II. Angiotensin receptors are found in the major organs and are designed to regulate blood pressure and balance electrolytes. By blocking the effects of angiotensin II, blood vessels are allowed to widen and relieve the pressure of the blood. 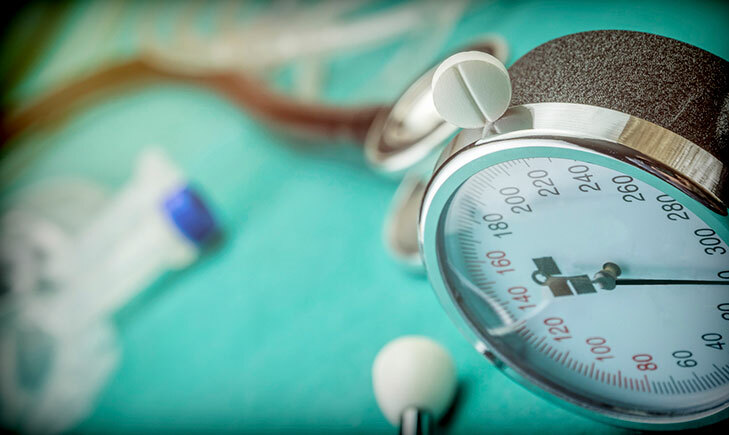 If left unchecked, high blood pressure can lead to heart attack, heart failure, kidney damage, stroke, vision loss, sexual dysfunction, and more. Although losartan is best known as a treatment option for high blood pressure, it is also used to treat heart failure and diabetic kidney disease. The very first angiotensin II antagonist was developed in the early 1970s. However, it was not suitable as a drug, so scientists started looking into developing something more viable. Eventually, Losartan became the first successful angiotensin II antagonist drug in 1986. By 1995, the U.S. Food and Drug Administration had approved the drug for use in the United States. Losartan was originally sold under the trade name Cozaar and was marketed by Merck. Eventually, other ARBs were developed using losartan as a basis. In 2010, the patent ran out on the drug and the first generic formulations of losartan potassium tablets were approved by the FDA. With the growing number of people with hypertension, losartan has become an increasingly popular drug. It was the ninth most prescribed drug in the United States in 2016 with nearly 50 million prescriptions, according to data provided by the U.S. Government. According to Cozaar’s official prescribing information sheet, clinical trials for Losartan have revealed common side effects that occur more frequently in those taking Cozaar versus those taking a placebo. These include dizziness, upper respiratory infection, nasal congestion, and back pain. Other less common adverse reactions include anemia, depression, migraine, headache, sleep disorders, vertigo, tinnitus, heart palpitations, dyspnea, abdominal pain, nausea, vomiting, rash, myalgia, impotence, edema, cough, and malaise. Losartan is also connected to rarer but more serious adverse effects. Allergic Reactions: Some people may have allergic reactions to losartan-containing drugs. This might develop into difficulty breathing, hives, swelling of the throat, and more. Fetal Toxicity: In 2014, the FDA updated its black box warning for losartan to include fetal toxicity. Previously, taking losartan was discouraged during the second and third trimesters but losartan could pose a danger to the fetus earlier in the pregnancy as well. Renal Failure: Drugs that inhibit the renin-angiotensin system may cause acute renal failure. The prescribing sheet for Cozaar warns that patients with kidney issues may be at risk of developing acute renal failure while taking losartan. In June 2018, the FDA found that some generic versions of the angiotensin II receptor blocker (ARB) valsartan contained impurities. This prompted the first recall of valsartan medicines due to the presence of a cancer-causing substance called N-nitrosodimethylamine (NDMA) in July 2018. A follow-up investigation revealed that valsartan drugs also contained another cancer-causing substance called N-Nitrosodiethylamine (NDEA). After testing other ARBs, the FDA found the two substances in irbesartan and losartan drugs. One of the first losartan recalls was issued by Sandoz Inc in November 2018 after NDEA was found in the drug. A few months later, Torrent Pharmaceuticals recalled 16 lots of losartan after also finding trace amounts of NDEA in the drugs. NDEA is considered a probable human carcinogen by the International Agency for Research on Cancer (IARC). Although NDEA can occur naturally in certain foods and air pollution, the Environmental Protection Agency warns that long-term exposure could cause liver damage and cancer. A third contaminant was found in an ARB that resulted in another round of recalls. In February 2019, 87 lots of losartan tablets were recalled by Camber Pharmaceuticals after trace amounts of N-Nitroso N-Methyl 4-amino butyric acid (NMBA) were found. In early March 2019, the FDA expressed concern about yet another cancer-causing substance present in ARBs. “Over the past few months, the FDA has conducted a major investigation and has worked with drug companies to address the presence of impurities in these products,” said FDA Commissioner Scott Gottlieb. “Our ongoing effort has determined that the impurities may be generated by specific chemical reactions in the manufacturing process of the drug’s active pharmaceutical ingredients. On March 25, 2019, Legacy Pharmaceutical Packaging issued a voluntary recall of 40 lots of Losartan potassium tablets due to NMBA. The FDA investigation is still ongoing. So far, none of the drugmakers of Losartan have received reports of adverse effects related to the recall and presence of carcinogenic substances. However, scientists believe that exposure to the substances, particularly NDEA, could lead to the development of cancer. That’s why lawyers have been exploring the possibility of lawsuits on behalf of those who developed cancer while taking losartan. The makers of losartan drugs have put patients at risk by making and selling a defective drug. If you or someone you love took losartan and were diagnosed with cancer, get in touch with a qualified attorney as soon as possible to start building a case against those who were responsible. The Eichholz Law Firm has years of experience in dealing with drug-related injuries, and our experts can help you seek compensation and the justice you deserve. It’s time to hold pharmaceutical companies accountable for their actions and get the justice you deserve. Contact us today or fill out an online application for a case evaluation so we can help you find the next best steps. Goldenberg Law “Losartan Recall Lawsuit”, Goldenberg Law, https://www.goldenberglaw.com/areas_of_practice/losartan/. Accessed April 3, 2019.